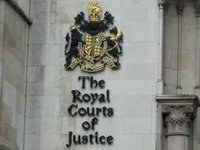 The U.K. High Court on Friday is expected to rule on the case opened under a lawsuit of state-owned PrivatBank (Kyiv) against the bank's former owners Ihor Kolomoisky and Hennadiy Boholiubov, as well as companies affiliated with them, the court has reported in its agenda. The session is scheduled for 10:30 London time (12:30 Kyiv time). However, MP Serhiy Leshchenko (Petro Poroshenko Bloc parliamentary faction) said on his Twitter microblog that the U.K. High Court has issued a decision, saying that the PrivatBank's lawsuit is not being the jurisdiction of the court. "Ihor Kolomoisky can celebrate. The U.K. High Court decided that the PrivatBank's case is not its jurisdiction, reliable sources said," he wrote. The lawmaker said that the rejection of the lawsuit by the U.K. High Court means that the freezing of the assets of Kolomoisky and Hennadiy Boholiubov will be lifted, as well as the restriction for making expenses in the amount of no more than GBP 20,000 a week. In addition, Leshchenko believes that it is likely that the case under the lawsuit of the nationalized PrivatBank against Kolomoisky and Boholiubov in the U.K. High Court will be closed. "Kolomoisky and Boholiubov built their strategy on the fact that they did not live in London. And if against Kolomoisky, who until recently lived in Geneva, and now moved to Israel, this is true, then Boholiubov was for many years a resident of the U.K. However, in order to get out of British jurisdiction over claims of PrivatBank nationalized by Ukraine and former partner Vadym Shulman, Boholiubov moved from the U.K. to Switzerland and divorced his wife," Leshchenko wrote.